Cast: Kamikawa Takaya, Kanjiya Shihori, Sano Shiro and Osugi Ren. 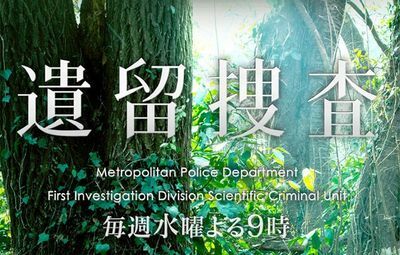 Itomura Satoshi (Kamikawa Takaya) is the chief of the Scientific Criminal Investigation Unit, know as the Unit of Personal Effects by other cops. Ridiculed as a “timewaster”, he spends most of his time focusing on the personal effects of the victims, as he believes they can explain the behavior and thoughts, of the victims. Though undervalued, Itomura doesn’t care about the opinions of the others, and isn’t interested in the crimes - his focus is the victims and their families. He spends most time relaying the last moments to the families. 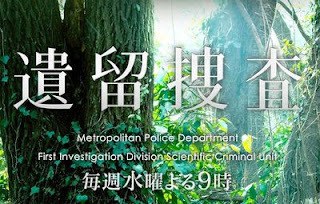 Oda Miyuki (Kanjiya Shiori) is the only female detective in the First Investigation Division. Even though she is underestimated and discriminated due to her gender, she refuses to back down. But finds herself working with Itomura - who has been known to be a “promotion stopper” - even though she does not want to. This drama is one of those I found by accident while checking out the subtitle index update, and I kind of remember it from some time back, while watching the medical drama Iryu, as they share common name. Compared to other police dramas, this one is very different, as it focuses on the victims, and to be honest it feels incredibly weird. Instead of “rooting” for the capture of the criminals, I was shown the stories of the victims. Its very anti-climactic, but sort of refreshing, as you usually forget that the victims had fuller lives before being a victim. So that I really liked. I gotta say, the guest stars were bad at acting, I didn’t like that they seemed to “feel sad” or cry on cue… It ruins the set-up mood. Besides that, the other characters were to one track minded, which annoyed me a lot. I mean, it makes the Japanese police seem very bad. Anyways, a decent watch, with good short stories.